From a hundred people to several thousand, we pull off unforgettable events like it’s our job. 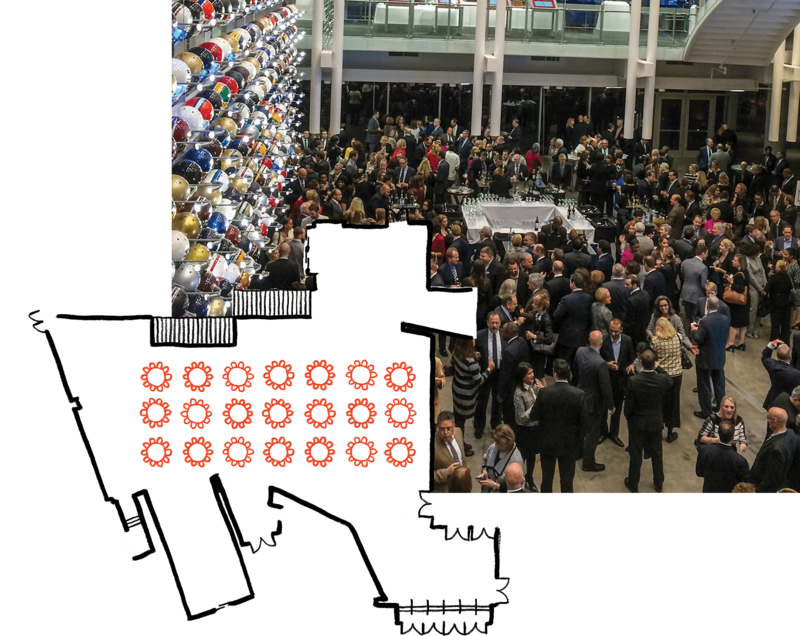 Book our state-of-the-art facility to host your next big get-together and we’ll open up every exhibit, our 45-yard football field and our ultra high-def theater to make you the host with the most. Along with our official hotel and catering partner, The Omni Hotel at CNN Center, and our preferred vendors like Peachtree Tents and Events, we make sure your guests feel right at home inside the Hall. 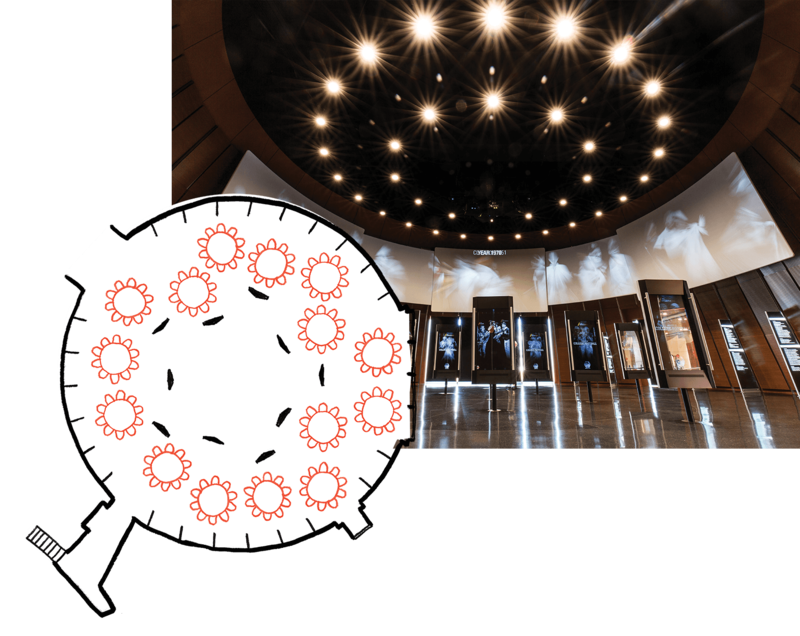 The official entryway to the Hall of Fame experience, guests are amazed by our three-story, interactive wall of helmets representing the football programs of more than 770 colleges and universities. 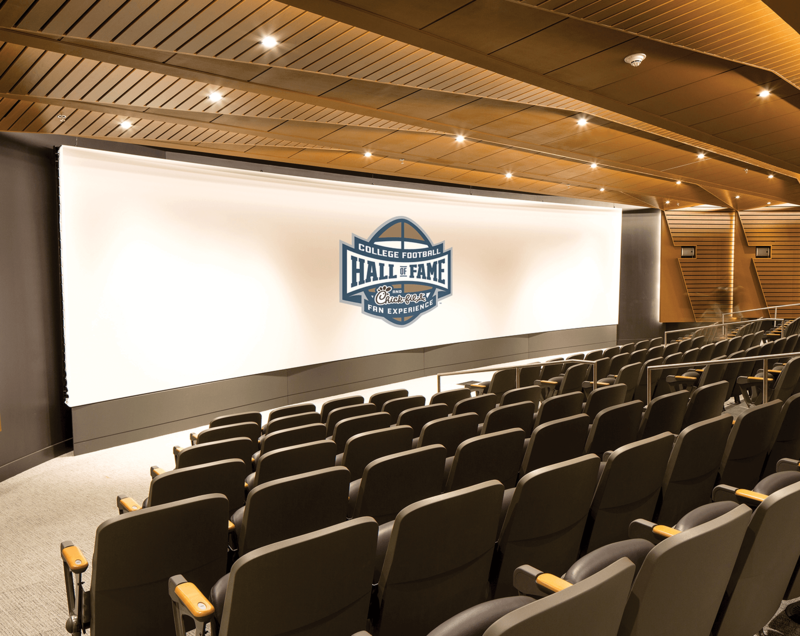 Offering stunning views of the Atlanta skyline, the Hall of Fame is our most prestigious space. Imagine your legendary event surrounded by the legends of the game. Kick a field goal and close a deal in the same space! Our 45-yard indoor playing field adds the exciting game-day feel to every event. 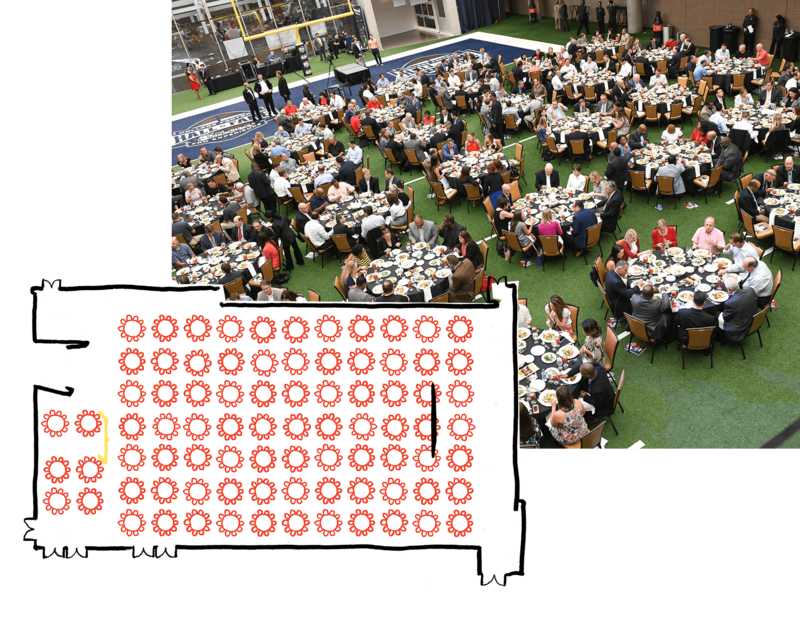 Our largest space, the field offers versatile layouts for any function from tailgate to formal banquet and features our 30-foot, high-definition video board. Bring your A-Game. The Game Day Theater is an ideal location for corporate audiovisual presentations for up to 150 guests. Fill out the form below and Hall Management will be in contact with you to discuss further details.